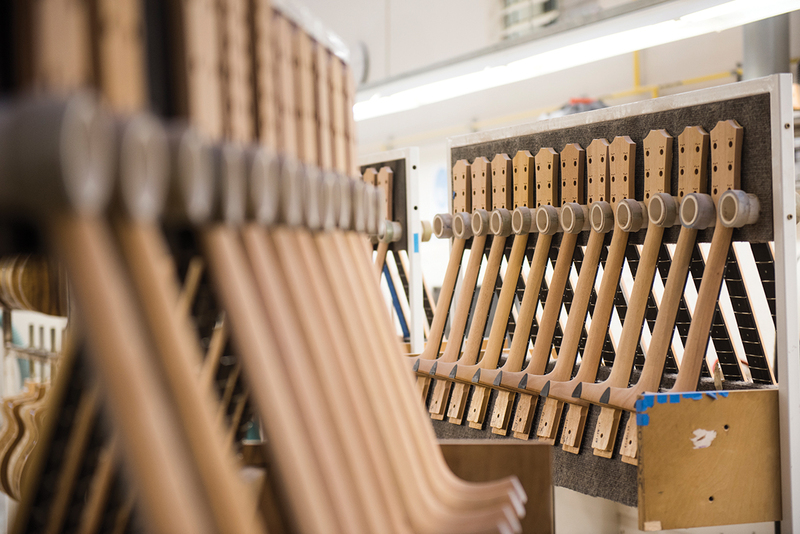 G&B heads into Mexico to see the state-of-the-art factory in which Taylor’s affordable new Academy Series models are manufactured. When we were first approached about a trip down to San Diego and Mexico after the NAMM Show in January, it sounded like the ideal way to get a little more winter sun before heading back to a wet and miserable UK. Little did we know that the long Californian drought would end in such spectacular style and that the weekend of Winter NAMM – usually blessed with cloudless skies and t-shirt weather – would coincide with more rainfall across Southern California in two days than the state saw in the whole of 2015. 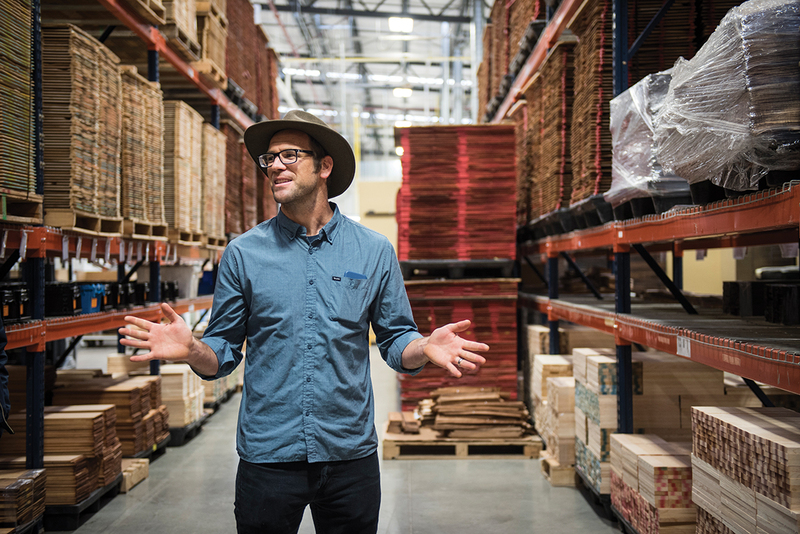 Needless to say, our road trip to Taylor Guitars HQ in El Cajon, near San Diego, and then to the company’s Mexican factory just over the border in Tecate, wasn’t the sun-bleached expedition of Hollywood cliche, and we were forced to swap our sunglasses for raincoats. 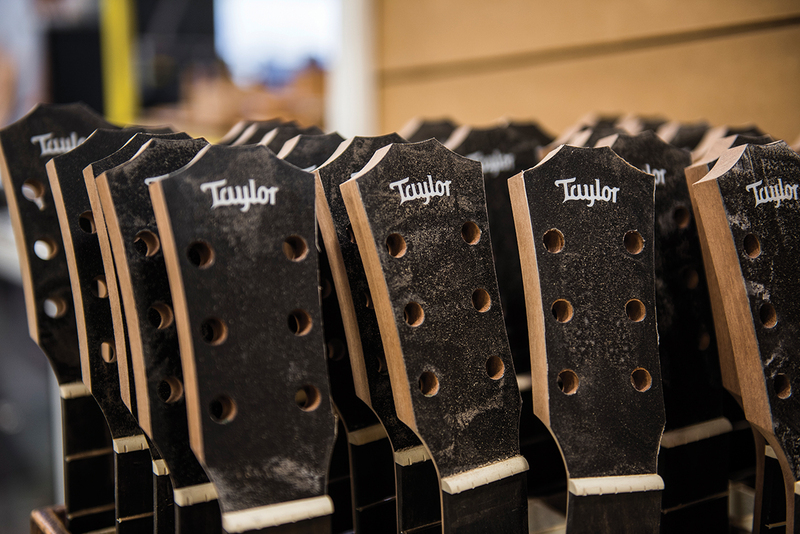 However, the weather couldn’t dampen our positive impression of the huge Taylor facility in Tecate which, in keeping with the company’s signature blend of mass production and a keen social and environmental conscience, is as clean and spacious a guitar factory as you are ever likely to see, with excellent dust extraction. Work flows between both Taylor factories in the US and Mexico, but the demarcation line tends to be that the instruments with solid backs and sides are made in El Cajon and the laminates in Tecate. 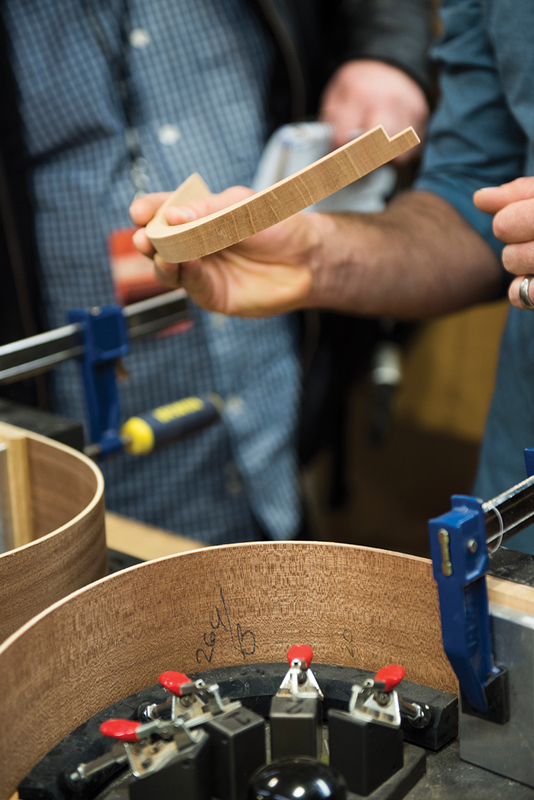 With Taylor’s master luthier showing us around the building, we get to see the production of the company’s new Academy Series instruments from start to finish, including their innovative armrest. 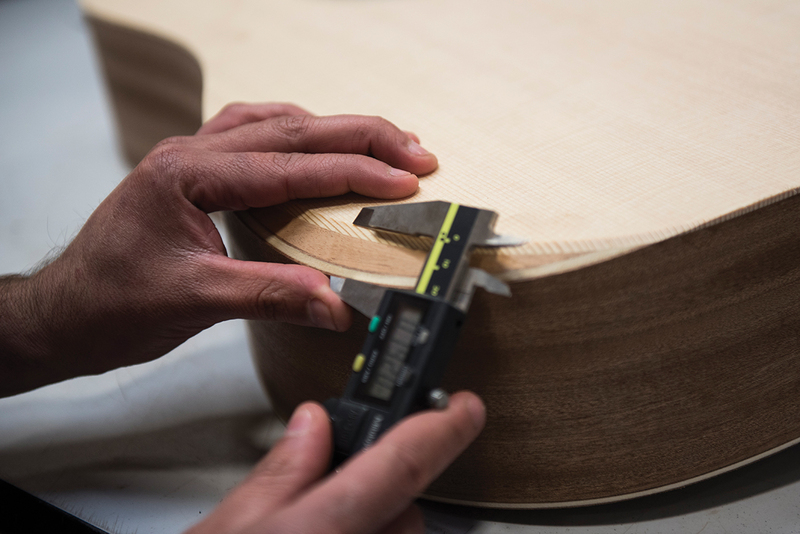 In the corresponding area inside the Academy Series guitars, instead of lining, a larger piece of mahogany is used, which when machined away, acts as both lining and armrest. 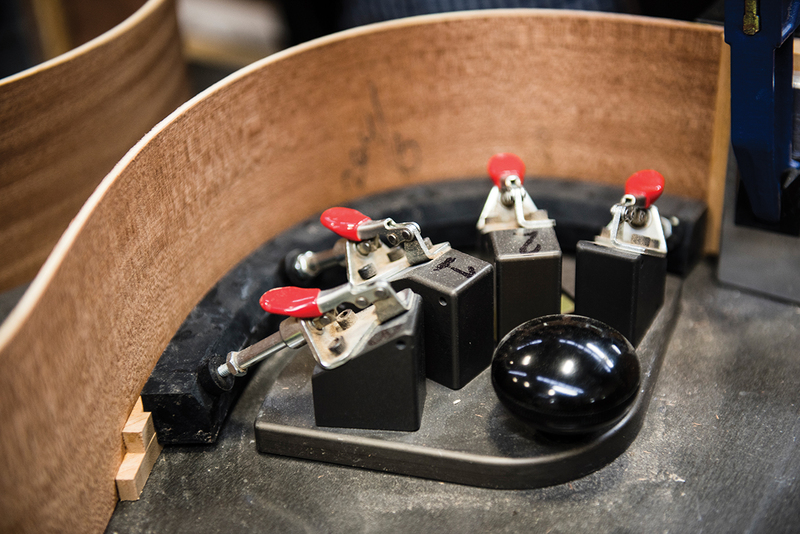 Although it looks at first glance like two pieces of mahogany, it’s machined from a single piece (left over from the neck-making process) that’s stepped to reduce weight. In keeping with the ethos of these guitars, redundant material and ornamentation have been stripped away. 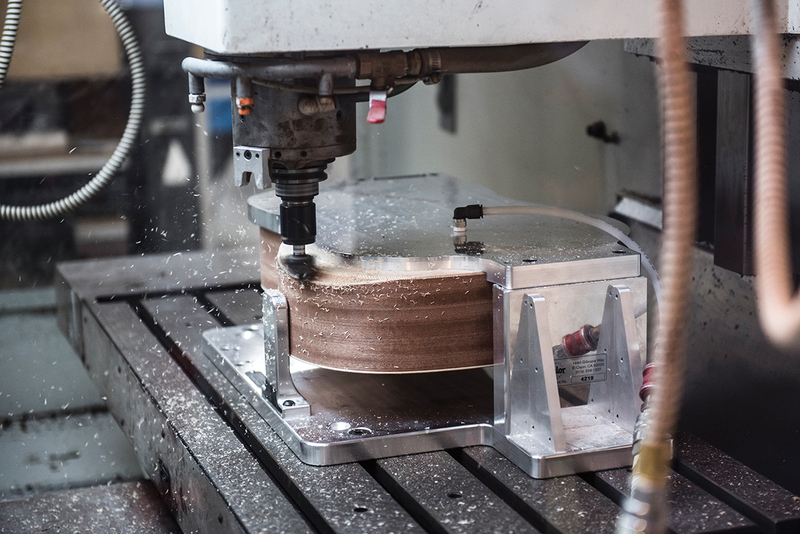 The cutter rotates at around 12,000 RPM, moving slowly for a clean cut, and the clever design allows for a process that takes four hours on the company’s higher-end instruments to be automated – and take just a couple of minutes as a result. 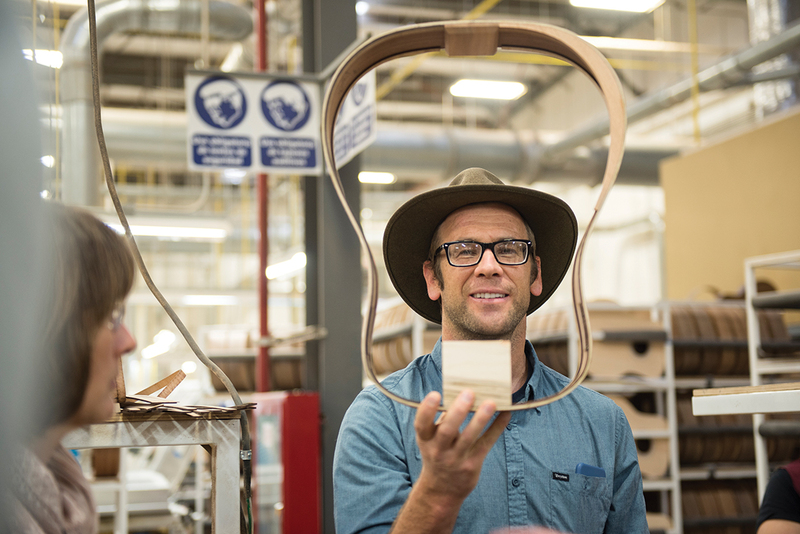 The end result is not only functional and comfortable, but reveals its component parts and structure in an elegant, understated manner, much like an Eames chair.